The Ambulatory Clinical Pharmacy Manager will provide clinical leadership to clinical pharmacists, pharmacy specialists, and pharmacy residents, within the Department of Pharmaceutical Care. Responsibilities include: serve as chair for the Specialty Pharmacy Clinical Oversight Committee, serve as a member of the Quality and Performance Improvement group, as well as participate in other pertinent committees; support development of population health initiatives; identify new opportunities to improve patient safety; evaluate clinical services; detect problems and work with staff to implement solutions; evaluate clinical staff performance and provide guidance for performance improvement; as well as recruit, onboard, and provide orientation for ambulatory care clinical pharmacy specialists. This position will collaborate with leadership and staff to promote safe, optimal and cost-effective medication use processes. 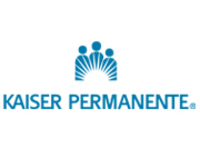 This position will also work closely with the director of ambulatory pharmacy services and ambulatory care managers to improve patient safety through innovations in technology and/or new program development and implementation. These activities require effective communication, organizational skills, strategic planning, personnel supervision, data management and reporting, process evaluation and improvement, and staff development/training. A considerable amount of innovation, independence, creativity, and flexibility are required in the decision making and problem solving process. Assists in the planning of the delivery and improvement of clinical ambulatory pharmacy services, programs and personnel both on and off campus. Assigns tasks to staff and monitors individual and team progress. Assists ambulatory care pharmacy managers to coordinate the overall ambulatory care clinical pharmacy services and to identify and evaluate outcomes measures in order to maximize productivity, clinical outcomes, and financial impact. Works with the appropriate ambulatory care pharmacy managers to coordinate ambulatory care clinical pharmacy services with physicians, nursing, laboratory, and other personnel and develop and assist in the implementation of clinical pathways and therapeutic guidelines. Provides guidance and oversight for ambulatory care clinical pharmacy operations. Works with the ambulatory care pharmacy leadership team and clinical pharmacy specialists in the development and implementation of staff competencies and credentialing within ambulatory care clinical pharmacy services. Ensures compliance with regulations related to the provision of pharmacy services. Creates an environment that encourages high performance and teamwork. Works with members of the pharmacy team and other departments to implement systems for patient care. Educates clinic providers and staff as well as external parties regarding services provided by ambulatory care pharmacy staff. Develops understanding and provides education as needed related to other services provided within the clinics. Serves as a preceptor for pharmacy students and residents. Provides didactic education at College of Pharmacy as needed and appropriate. Creates synergy between practice initiatives and PharmD student and resident rotations. Communicates new services or procedures to pharmacy staff and others who may be affected. Evaluates problems/concerns identified by staff in collaboration with leadership team to create a safe and effective solution to meet the clinical service goals of the Department and UIHC. Participates in developing, monitoring, and reporting pharmacy practice standards for the department of pharmacy. Provides guidance regarding appropriate expenditure of time and resources for ambulatory care clinical pharmacy services. Collaborates with departmental leaders and clinical area leaders to identify high priority outcomes that are actionable by pharmacists who provide ambulatory care clinical services. Participates in the planning and implementation of new programs and services. Evaluates and analyzes projects, develops project specifications, and creates and implements project plans to successfully meet goals and objectives. Plans, implements, and evaluates new clinical and technical processes including multi-disciplinary groups for program/service. Ensures compliance with regulatory standards. Assists in evaluation of new medication therapies. Involves staff in department quality improvement initiatives. Serves as consultant on medication safety and serves on standing committees as needed. Provides consultation on department medication safety initiatives and works with team to implement hospital-wide safety initiatives. Helps to ensure compliance with accreditation standards and with federal, state, and local regulations related to medication safety. Hires, develops, and manages the performance of staff. Coordinates and leads team and staff meetings for assigned areas of responsibility. Assures staff are compliant with UI policies and procedures, laws and regulations. Supervises clinical pharmacy specialists (non-oncology, non-primary care). Conducts evaluations on personal performance at the work place and recommends improvement plans. Works with staff on an ongoing basis to improve performance, guides and coaches staff in solving problems which arise in a day-to-day routine. Collaborates with the appropriate ambulatory care pharmacy managers to coordinate scheduling and coverage of ambulatory care clinical pharmacy services. Monitors the progress of assignments and performance of daily responsibilities for all assigned personnel, coaches and disciplines staff as necessary. Measures employee satisfaction and implementation of improvement initiatives. Understands billing processes for take-home prescriptions and medications dispensed and administered in the clinics. Assists with development of mechanisms to monitor revenue integrity in the clinics. Assists with gathering of information on supporting charges or drug utilization. Assists with standardized process for medication assistance programs for clinic-administered medications. Creates a team environment of accountability and commitment for reaching project goals. Responsiveness to concerns identified by department leadership. Reinforces positive contributions and recommends adjustments for improving outcomes. Documents knowledge that can be transferred to others. Helps others identify and work around problems that could impede progress. Assists in assessing risks, benefits and consideration of alternatives. Recognizes, clarifies, and prioritizes concerns. Identifies, obtains, and organizes relevant data and ideas. Participates in collecting and evaluating data to identify drug use problems. Keeps current with outpatient reimbursement guidelines and trends, and recommends changes as needed. Communicates well downward, upward, and outward. Adapts documents and presentations for intended audience. Maintains focus on the topic at hand. Please attach a cover letter and resume as part of the application process. Job openings are posted for a minimum of 14 calendar days. This job may be removed from posting and filled any time after the minimum posting period has ended. For questions or additional information, please contact Jenna Lueth at jenna-lueth@uiowa.edu. Successful candidate will be subject to a criminal background check. Bachelor of Science degree in Pharmacy or Doctor of Pharmacy degree. Current license or eligibility to be licensed as Pharmacist by Iowa Board of Pharmacy. Completion of an ASHP-accredited PGY1/PGY2 Health-System Administration Residency or Specialty Pharmacy Administration and Leadership Residency or minimum of five (5) years of experience working in a complex clinical pharmacy environment. Strong interest in ambulatory care. Job-related experience with and/ or commitment to diversity in the work environment is required. Job-related experience in ambulatory care pharmacy. A Master of Science in Pharmacy or healthcare/management related advanced degree such as an MHA, MPH or MBA is desirable. Experience with automation/technology, human resources management, project management and Epic electronic health record is highly desirable.